Pin backs with 3 holes for sewing on or glue on. Ideal for jewel crafting, sewing fabric, making corsage，be used on most surfaces for DIY crafts. 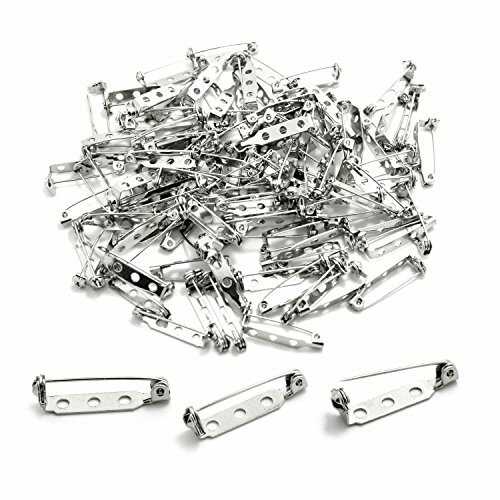 Quantity:Package includes 100 pcs 25mm pin backs. Application：Ideal for jewel crafting, sewing fabric, making corsage，be used on most surfaces for DIY crafts. Design：Pin backs with 3 holes for sewing on or glue on. Material: Pin backs are made of stainless steel plated，not easy to get rusty.